Who's up for a movie marathon? (SPOT.ph) The biggest Spanish film festival in Southeast Asia is back to give movie fans a taste of Spanish life and culture without having to leave the Metro. 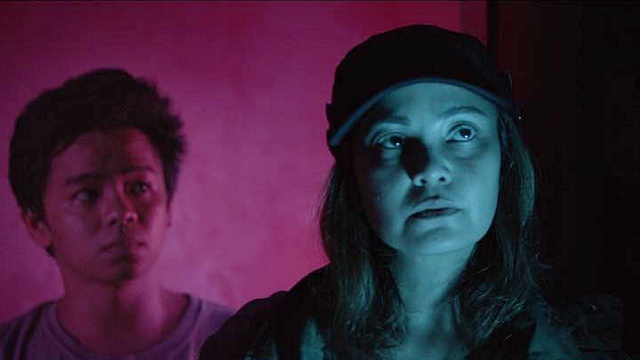 Now on its 16th year, the long-running Pelicula Pelikula: Spanish Film Festival is showcasing over 20 of the best and most recent Spanish and Latin American movies, ranging from dramas to documentaries. Tickets are priced at P100 and screenings will run from October 5 to 15 at Greenbelt 3 Cinema 1. Here are 10 films you shouldn't miss this year. Schedule: October 7 at 4:30 p.m. and October 14 at 7 p.m. This award-winning Spanish film revolves around a getaway driver who is imprisoned for eight years after a jewelry heist gone wrong. Upon his release, he decides to live a new life with his girlfriend and son, only to be dragged into a stranger's new plot of revenge. Schedule: October 8 at 7 p.m. and October 15 at 9:30 p.m. In this Spanish comedy, a has-been actress who is willing to do anything to restore her former glory decides to throw a dinner party. What follows is a crazy night where anything is possible. Schedule: October 7 at 7 p.m. and October 14 at 4:30 p.m. This award-winning thriller centers on a paraplegic computer engineer who works in his basement. Things get exciting when he hears a group of bank robbers building a tunnel beneath his house, and he does everything he can to stop them. Schedule: October 11 at 9:30 p.m.
A missing teenager, who has been long presumed dead, suddenly returns home after eight years. Little by little, people begin to question whether he is really the missing boy or an impostor. Schedule: October 6 at 7 p.m. and October 15 at 4:30 p.m.
A seemingly normal day in a bustling bar in downtown Madrid turns deadly when one customer is shot in the head as soon as he steps out onto the street. Trapped in the bar, paranoia and suspicion begin to take over the terrified remaining customers. Schedule: October 7 at 9:30 p.m. and October 12 at 7 p.m.
Based on a true story from the '90s, this thrilling film revolves around Francisco Paesa, a former secret agent for the Spanish government who is forced to flee the country after being involved in extortion. When he returns after four years, he is enlisted by the corrupt General Director of the Guardia Civil to money-launder millions that the latter stole from the public treasury. Schedule: October 11 at 4:30 p.m. In this gripping Venezuelan horror, a mother named Dulce experiences terrifying encounters with apparitions in her old house. Three decades later, an elderly Dulce returns home to uncover the mystery that has tormented her for so long. Schedule: October 9 at 7 p.m.
Five men from different walks of life are hired to paint the lines of a road. Little do they know that the mundane job will change their lives forever. Schedule: October 8 at 4:30 p.m.
Eleven handcrafters (including a mason, a butcher, and a seamstress) are hired to do their everyday work in front of an audience of hundreds. Things get perverse and macabre very quickly. Schedule: October 5 at 9:30 p.m. In this Spanish thriller movie, two inspectors must race against the clock to find a serial killer. Throughout their investigation, they realize that neither of them are different from the killer. For more information, log on to Instituto Cervantes de Manila's official Facebook page. 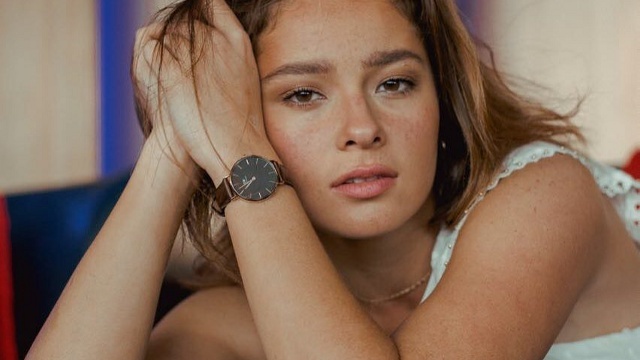 Andi Eigenmann Admits Leaving Showbiz: "I Was Not Happy"